Drew DiPalma feels like he's living a lie. He's had it with his Hollywood persona, the high-maintenance women, and his sleazy agent. To escape the madness, he flees to a tourist town he'd often visited as a child. He never expected to find love on that little island. Then he stumbles upon Lainey alone on the swing set of a deserted beach. After a dozen internet dating disasters, Lainey Riccardo has given up on romance--until she meets a West Coast hunk who has no trouble winning her heart. But Lainey only knows him as Drew, not the Oscar-nominated actor who's constantly scandalized in the tabloids. 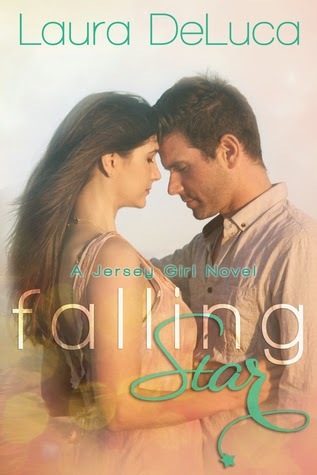 When she learns the truth, will the small town Jersey girl be able to accept Drew's fast-paced life? Or will the truth drive her away forever? When I opened the Kindle last night and chose a random book, this was the one that was right on top. I have to say that other than some editing errors, I really enjoyed this book. That is the one downside to being an editor. Mistakes tend to jump out at me. However, there weren't that many and since the story was easy to follow, wrong word usage didn't hold it up one bit. Not only Lainey and Drew, but the entire gang were characters that you wanted to know. I know that I wanted to be a part of that far before the end of the book. I won't give away the ending, but I am thrilled to say that there is going to be another book in this series. I can't wait until it comes out and fingers crossed that you'll see a review right here!